There are many ways to see the Northern Lights. For Icelanders, they prefer to happen upon them, though that luxury is not really possible for tourists on a schedule. There are plenty of Northern Light tours available from Reykjavik. Or for the matter, from most towns in Iceland. Another way to see the dancing lights in the sky is to do it yourself. What you need is a night pretty much clear of clouds. 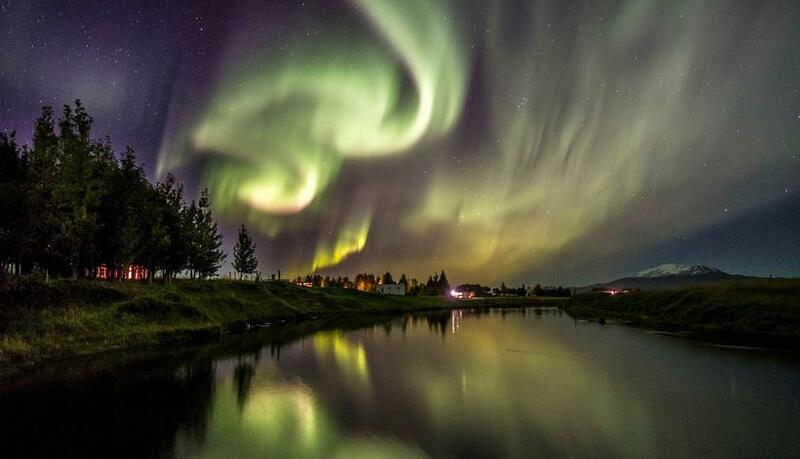 You have to be able to see the sky, in order to see the Northern Lights as they dance far above the clouds. You also need to get away from other lights, like city lights, as they affect visibility on the Northern Lights. If you are in Reykjavík, a 20-30 minute drive away from the city centre is usually enough. If you are staying at a B&B on farm (quite common in Iceland), a two minute walk might be enough. Where to go from Reykjavik? There are many places close to Reykjavik that are well suited, like Hvalfjörður, Mosfellsheiði and Hellisheiði, just keep in mind if you take a car to not park it on the road, as it can be hazardous to other cars driving by. 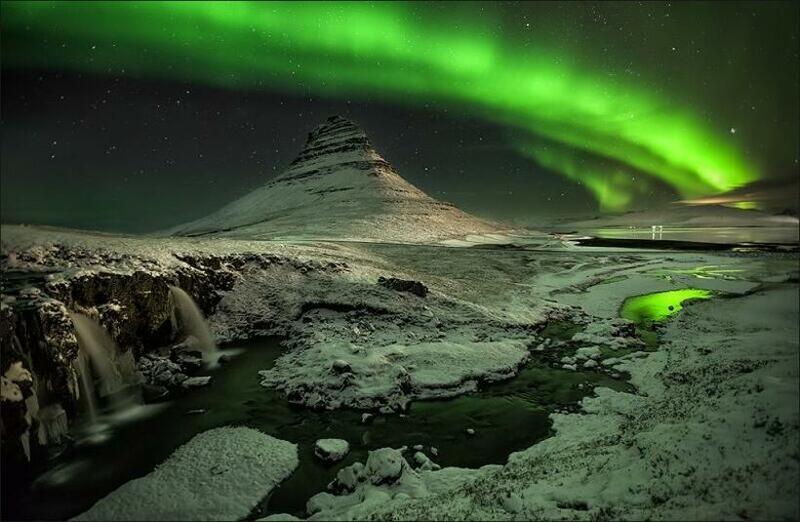 Grótta is another lovely place to see the Northern Lights. It's an island by Seltjarnarnes peninsula, accessible on foot when the tides are low. There is a parking area by the island and the view to the sky is perhaps a little more polluted than in the areas mentioned above, but the surroundings are beautiful and it's only a 10 minutes drive or 45 minute walk from Reykjavik centre. Information on how the Northern lights are going to be over the next nights is easily accessible. The Iceland Met Office has a website with all the information you need. There you can see if it will be cloudy, dark green means cloudy, white means a clear sky, and how powerful the Northern Lights are likely to be. The Northern Lights usually peak between 10pm and 2am, though they are pretty unpredictable and can easily be visible at 8pm on a good day. Adored as they are, the Northern Lights are primadonnas. You might have to wait for them. A nice way to ease the waiting time is to bring a blanket, hot chocolate and cookies. If all else fails, there is a Northern Lights Museum in Reykjavik, where you can see stunning photographs of the Northern Lights, find out how they exists and learn how to photograph them.